Office decorum tends to make us prim and proper (well, most of us anyway- and excluding everyone behind Sam at Cuckooland HQ! ), even though we all know our boss, client or employees are a little bit bonkers inside. So when Christmas comes along, bring out the mince pies and pour a glass of bubbly for yourself (right at your desk) because it’s time to show your spark! Give your favourite colleague a soundtrack to their workflow with funky earpieces from Jaxmotech. Now available in rose gold, these headphones double up as a listening accessory for music nerds and an eye-grabbing necklace to complement someone’s outfit. The strutting businesswoman on your team will be able to bop happily along to her favourite artists when she’s travelling or beavering away at her desk. Too much has gone digital these days, if you ask us. So give your selfie mad associate a tool for seeing the world away from their screen. 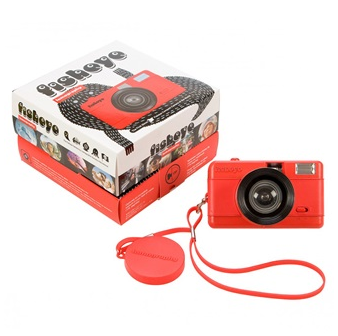 The Fisheye One Camera is the latest photo wonder from esteemed brand Lomography, snapping on 35mm film just like the good old days. A fun-house aesthetic will fix to anything caught in the gaze of this special lens, giving their memories a new perspective. 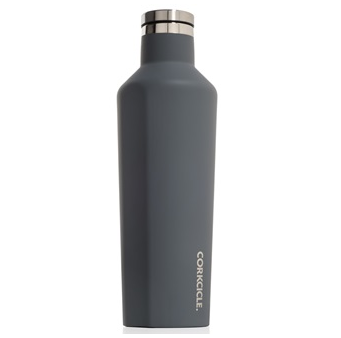 The corporate wunderkind has a million things to pack up and take with them after each meeting or conference. 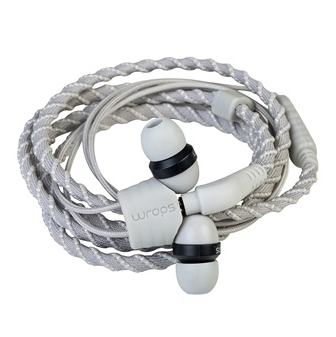 Headphones may form a section of their indispensable kit, but most items on the market get knotted and caught on other things in your pocket, bag or satchel. Wraps have swerved around this problem, fashioning a listening device (with inbuilt microphone) that ties around the wrist when it’s not being used. The sound of progress is here at last! Is it time for a glass of plonk yet? 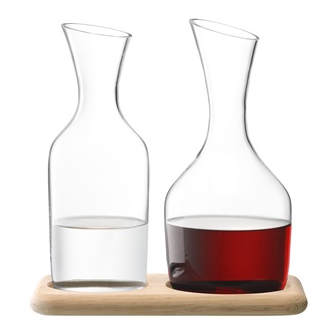 LSA have come up with the perfect serving set for get-togethers at home or Friday work dos – their Water & Wine Carafes have been mouthblown to graceful proportions, sitting in splendour on a wooden serving paddle. They’re a double hitter, because anyone letting the vino get to their head can take a sip of ice water right away, pacing parties out that extra bit more. 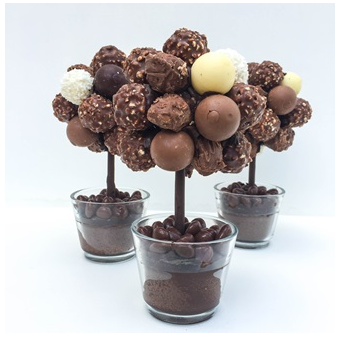 Respect doesn’t grow on trees, but if it did, it might look like the Mixed Truffle Sweet Tree, which has a canopy of white, dark, milk and crunchy choccies to nibble at. Famous names like Lindor and Ferrero Rocher form the leaves of these sweet-toothsome gifts, coming in one of four different sizes at your request. We can write the name of your recipient on the glass base pots so that sugar rush has a personal edge to savour. 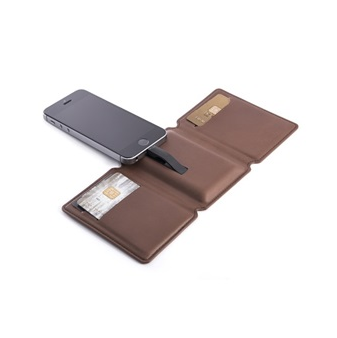 Another entry on our list of moveable tech marvels, this wallet by Seyvr has a surprise up its sleeve – namely, a charging cable for three models of iPhone, restoring your device to full power capacity. There’s enough room for half a dozen cards, as well as a cash flap to store change for the coffee machine. No professional gent will turn their nose up at such a clever charging solution when they’re on the move. Aside from nodding to some audio therapy, business people appreciate a hands-free call now and then, letting them get on with something else whilst they’re speaking. The Bluetooth Speaker by Kreafunk – rounded in shades of delicious plum – can be taken wherever your recipient’s headed from 9-5. 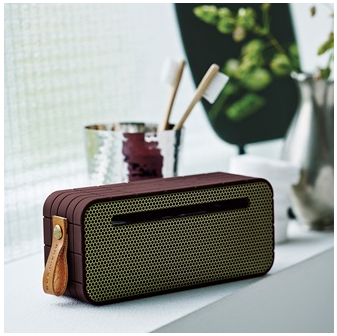 Not only does it have a built-in microphone, it also has bass-heavy speakers to get those Friday afternoons flowing. A certain group of big-hitters in the office might be fond of hiking and striking out into the country on weekends – all the better to purge the sound of the photocopier from their system, right? Well, if so, introduce them to this specialised flask with three layers of insulation to keep their brews hot or cold, depending on what they prefer. Hours and hours of refreshment await those who take the Root 7 brand with them into the wild. What could possibly have taken our number two spot? Our Cuckooland elves debated greatly over our executive winner, and we decided that the Matte Black Mighty Purse should land the silver medal. 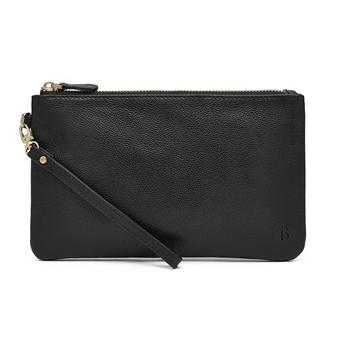 Basically, it’s a clutch bag that charges smartphone devices up in a jiffy, leaving plenty of room for lipstick, keys and whatever else makes up her work arsenal. She can also switch from ‘strap’ to ‘carry’ styles in a pinch. 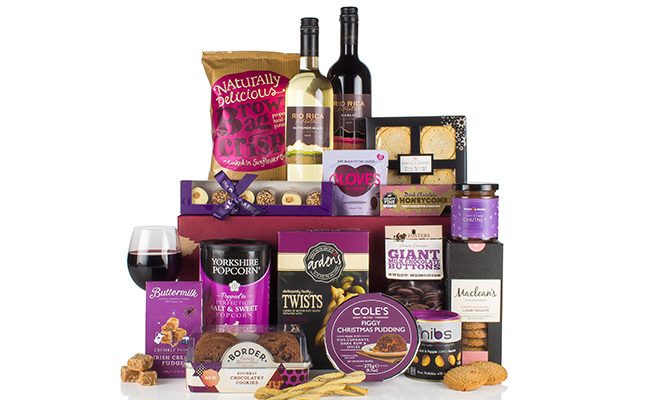 We couldn’t resist bringing a smile to your face at the summit of our countdown – that’s the effect a Christmas hamper tends to have, as we imagine swimming about in all the treats in store for whoever gets their mitts on it! Hampers have been an executive gift staple for decades, but The Silent Night Hamper by Virginia Hayward goes beyond the typical Noel standard with an array of food, drink and snackable goodies that even Santa might pale in front of. Now that the office party is out of the way, take some ‘you-and-me’ time to present your business buddy with the gift they’ve been asking for without knowing it. We can send them directly to your client’s address or have them delivered to you so the hand-over is done in person. Either way, saying ‘thanks a bunch’ at this time of year is sure to make your professional relationship even more magical! Call us on +44 (0) 1305 231231 for another sleigh-load of present ideas for that executive star.